Americans face major obstacles in planning for the next economic crisis — here's why. America’s worst economic downturn since the Great Depression officially ended about eight years ago. Despite nearly a decade of economic recovery, however, a recent GOBankingRates survey found most Americans today are woefully unprepared for the next recession. On average, recessions occur every 58.4 months, but that takes into account all recessions — big and small, long and short, deep and shallow. Much longer stretches of time separate significant recessions, such as the 73 months between the end of the dotcom recession in 2001 and the start of the Great Recession in December 2007; and before that, 120 months spanning the end of the early 1990s recession to the start of the dotcom collapse. While it’s not realistic to pin down a firm date for the start of the next recession, that doesn’t mean you can’t prepare. At 93 months since the end of the Great Recession, we’re due for another one in the next couple years. It’s essential to have some sort of contingency plan in place for when the inevitable does occur. Unfortunately, such preparations are not as common in America as they should be, given our recent history. GOBankingRates’ recent survey asked more than 1,000 Americans questions about their preparedness for a future recession. Their answers reveal not just how ill-prepared the average American is, but also how much the last recession continues to plague people today. Don’t Miss: Recession Signs Are Everywhere — Is the Next One Really Closer Than We Think? Despite the harsh lessons of the Great Recession, a very high percentage of Americans are woefully unprepared for another downturn. Nearly half of Americans are living paycheck to paycheck. Even more Americans don’t have sufficient money saved to cover six months of living expenses, the amount of cash financial experts recommend keeping on hand for emergencies. Recessions are notorious for prompting layoffs and driving surges in unemployment. Living paycheck to paycheck with insufficient emergency funds is a recipe for disaster if the job market tanks and you lose your job. But to understand why Americans are shockingly ill-prepared for a future recession, you need to understand the factors making effective recession preparation such a huge obstacle. Over the last decade, American wages have flatlined or outright declined. And this current trend is building upon an older and longer trend of stagnating wages, beginning in 1979. Unfortunately, living costs continue to rise throughout the U.S. thanks to inflation, which means a greater portion of every worker’s stagnating income will need to be spent on necessities. Being forced to spend more of your paycheck on necessities limits your ability to allocate money elsewhere. The problem is many effective methods of preparing for a recession require a degree of financial flexibility. Strategies such as increasing your saving rate, paying down current debt and changing your investing portfolio all imply financial flexibility that is difficult to attain when you’re living paycheck to paycheck. As a result, many people don’t have the capacity to effectively adopt these basic types of recession preparation. According to our survey, more than two-thirds of Americans do not have an investment strategy that can accommodate a recession. What’s exacerbating this problem is not simply that wages have been falling for the past decade. They are falling only for certain classes of Americans, while increasing for others. An examination of wage trends by wage percentile clearly shows the growing income inequality in the United States. Here’s how to understand wage percentiles: The 10th percentile wage, for example, means that 10 percent of wage earners earn less than that wage and 90 percent earn more. Thus, the 10th wage percentile represents workers who are making very little money. The 95th wage percentile refers to the highest-earning Americans. According to a report by the Economic Policy Institute, wages outright declined for every wage percentile — the 10th, 30th, 50th and 70th — except the 95th percentile. That elite group saw hourly wages increase 2.2 percent from 2007 to 2014, while wages declined by as much as 4 percent for everyone else. As the rich continue to get richer, they have greater financial capacity to prepare for a future recession. Meanwhile, the majority of wage earners face diminishing returns, tighter budgets and, thus, more constraints on their ability to properly protect themselves. How can you prepare for a future recession if you haven’t recovered from the last? That’s a question Americans would love to know the answer to, considering more than a third of survey respondents said they were personally affected by the 2008 Recession. A closer examination of the aftermath of the recession highlights why recovery has been very difficult — and at worst, impossible — for many Americans. With wages not keeping up with rising living costs, Americans have needed to increase how much of their incomes goes to covering necessities, at the expense of other allocations, like saving for an emergency fund. Americans living by the highly effective 50-30-20 budget rule (which allocates 50 percent of every paycheck to necessities, 30 percent to discretionary spending and 20 percent to savings) would need to break the budget’s ratio and spend more than 50 percent of income on necessities while reducing spending on discretionary spending and savings. Doing so makes breaking the paycheck-to-paycheck existence harder, an existence that afflicts 60 percent of Americans surveyed who were affected by the Great Recession. Because more of each paycheck must go to necessities, there’s less to sock away. Another logical result of having less money to save is leaving the emergency fund empty. According to our survey, two-thirds of Americans affected by the Great Recession have not been able to build sufficient emergency savings. Another reason Americans could be having a tougher time recovering from the Great Recession is that the economic recovery is underwhelming. For example, Americans who endured the early 1990s recession went on to experience the dotcom boom years of the late ’90s. Americans who weathered the Great Recession haven’t been as lucky with the economic aftermath. According to a Pew Research study, the first five years of the Great Recession recovery saw the weakest growth in U.S. GDP compared to four other recoveries: the early 2000s, the 1990s boom, the recovery after the 1982 recession and the go-go years of the 1960s. Let’s look at the early 1990s recession, which is both fairly recent and relevant to the Great Recession: The recession of the early 1990s lasted from July 1990 to March 1991, about eight months. Like the Great Recession, much of what fueled the 1990s recession was banking practices — such as the savings and loans crisis — which in turn threatened the housing market. Banks failed throughout the U.S., and the recession’s impact proved an important factor in the 1992 presidential election, not unlike the Great Recession and the 2008 election. Despite these similarities, the Great Recession and its recovery were more severe and underwhelming by comparison. First, the Great Recession lasted much longer than the early 1990s recession — 18 months versus eight months. Second, the Great Recession experienced higher rates of unemployment throughout its duration, peaking at 10 percent in October 2009 versus under 8 percent in June 1992. And third, unemployment rates during the recovery from the Great Recession took much longer to return to pre-recession levels. An overwhelming majority (70 percent) of women said they don’t have multiple income streams. An overwhelming majority (74 percent) of women said they don’t have an investment strategy that accounts for a recession. An overwhelming majority (83 percent) of women said they’re not ready to conduct a job search. A fundamental issue undermining women’s recession preparedness is the fact they are still earning significantly less than men. According to research from the American Association of University Women, women are still paid just 80 percent of what their male colleagues make. The wage gap is widespread, affecting all parts of the country and essentially every occupation. The income gap gets worse for older workers, too. It might sound obvious, but making a plan is without a doubt the key to effective recession preparation. It’s more than just planning, though — It is a mindset that people need to adopt in order to be prepared. 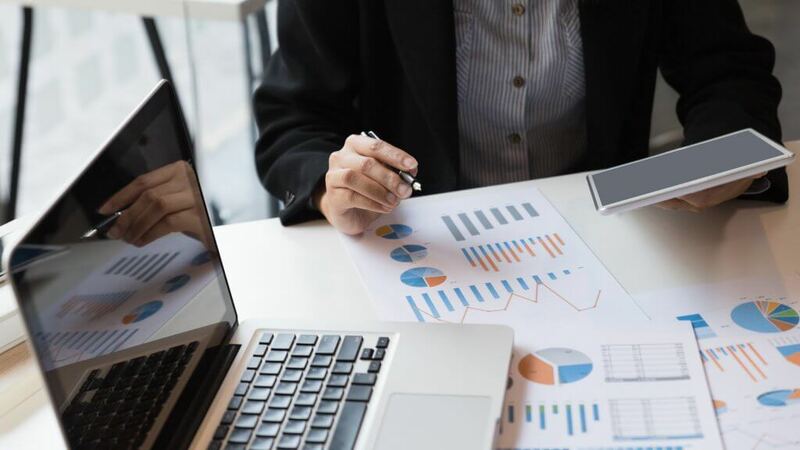 Recognizing the difference between damage control and being prepared is crucial for creating a sound financial plan — or plans. “Plan B is real. Plan C is important. And anyone with a Plan D is going to be just fine,” Masini said. “But so few people have that Plan B, C and D — let alone A.” She suggested using flow charts as a practical, easy method to approach financial planning without getting overwhelmed. An essential part of reinforcing your finances for a recession is having an emergency fund that can cover at least six months worth of expenses in case you do lose your job. The reality is that if you commit to saving, no matter how small the amount or rate, you’re headed in the right direction. “There’s no reason to focus on these huge sums that you need to accumulate,” said Sandberg. Her trick to developing a habit of saving is to withdraw cash from an ATM and stash it. Physically handling and saving cash can help you rediscover your natural inclination to save, she said. Closely related to establishing an emergency fund is decreasing your dependency rate. Your dependency rate measures how dependent you are on your regular income. So if you spend 90 percent of your income on a regular basis, then your dependency rate is 90 percent. According to the Indianapolis Star’s Peter Dunn, the key is to steadily and continuously reduce your dependency rate year over year, even as your income increases. Incrementally reducing your dependency rate gives you greater flexibility with your finances, which is great for withstanding a recession, but also helpful for building wealth in general. Ultimately, a big part of planning for a recession is to educate yourself on what you can and cannot do to prepare, said Masini. You can’t prepare for the exact time and date of the next downturn. But you can take practical steps every day, even if they are small, toward building a stronger foundation for financial uncertainty. Methodology: This GOBankingRates survey posed six questions to 1,007 people in the U.S. Responses were collected through Survata on May 30, 2017, and responses are representative of the U.S. online population. The survey has a 3.1 percent margin of error. Respondents were asked the following questions, and could only answer “yes” or “no”: (1) Are you currently living paycheck to paycheck? (2) Do you currently have enough money saved to cover 6 months of living expenses? (3) Are you ready to search for a new job with an updated resume? (4) Do you have multiple streams of income? (5) Does your investment strategy account for a recession? (6) Were you personally affected by the Recession of 2008? Knowing the most important paycheck rules can help you save cash. 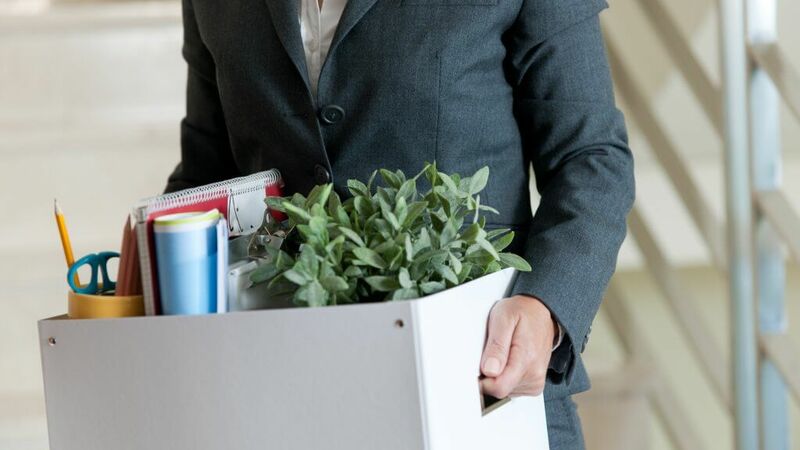 More People Are Quitting Without Notice — Is the Tight Job Market Making Us Rude?